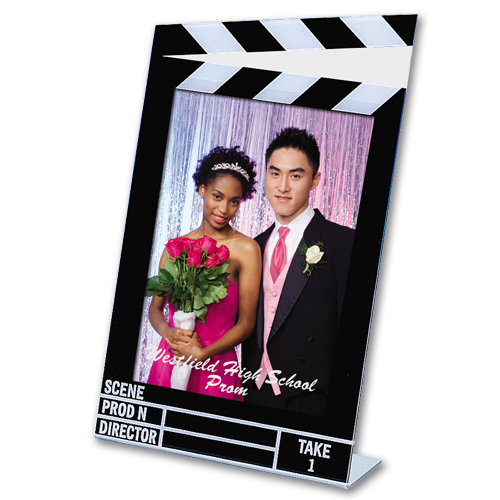 Clipboards are convenient, but a portfolio that contains a clipboard is impressive. Like any padfolio, this clipfolio opens like a book. The cover serves to protect the important notes inside, and also holds loose pages together in one tidy place. Once the cover is opened, the clipboard is on the right side with pages flipping horizontally like any clipboard. 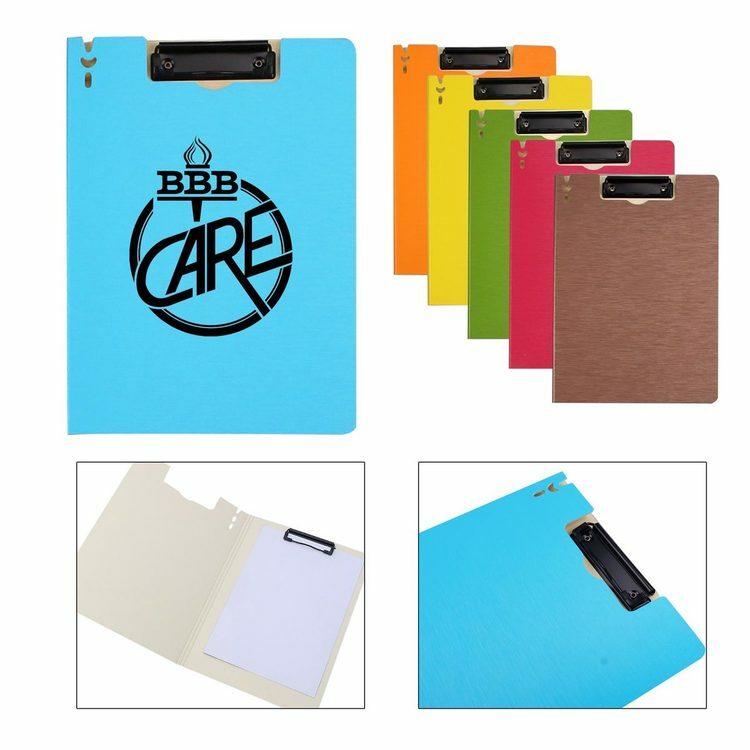 Not only is this a classy way to keep notes together, the opaque cover provides a large area to imprint your logo for high visibility. 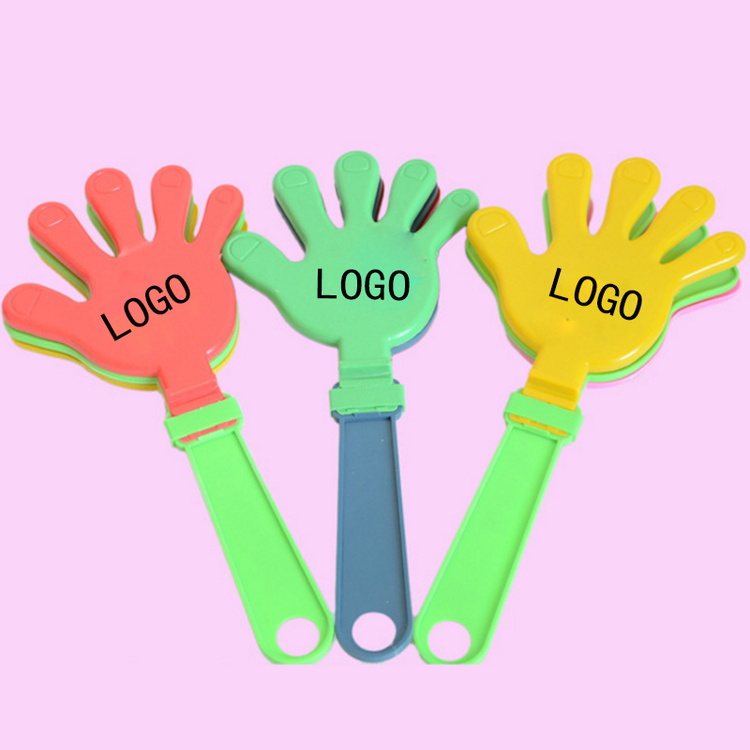 Plastic clappers are an excellent device for boosting morale and spirit in sporting events and competitions. The incision is connected by a hinge attached to the wrist of the straight shank. 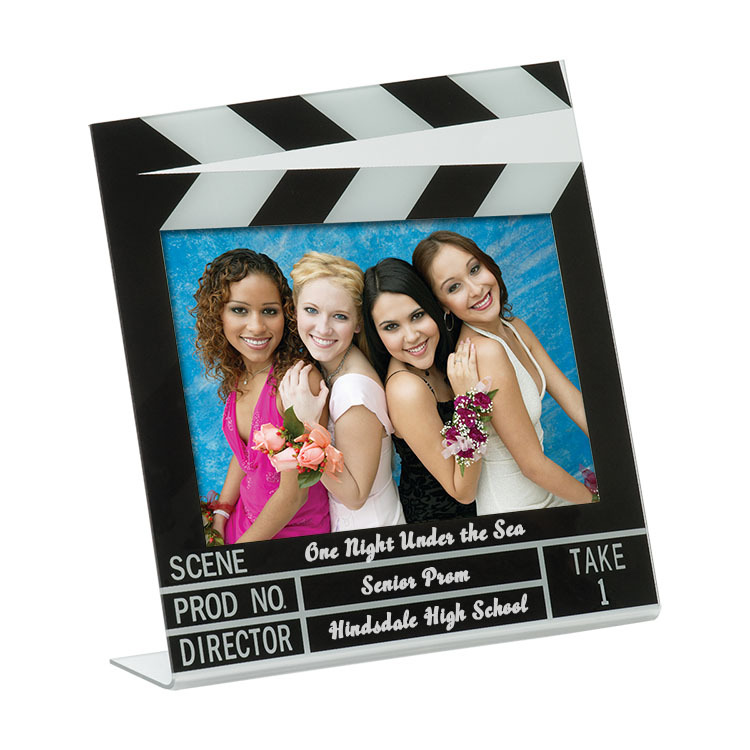 The price includes 1 color, 1 side, 1 position and screen imprint. 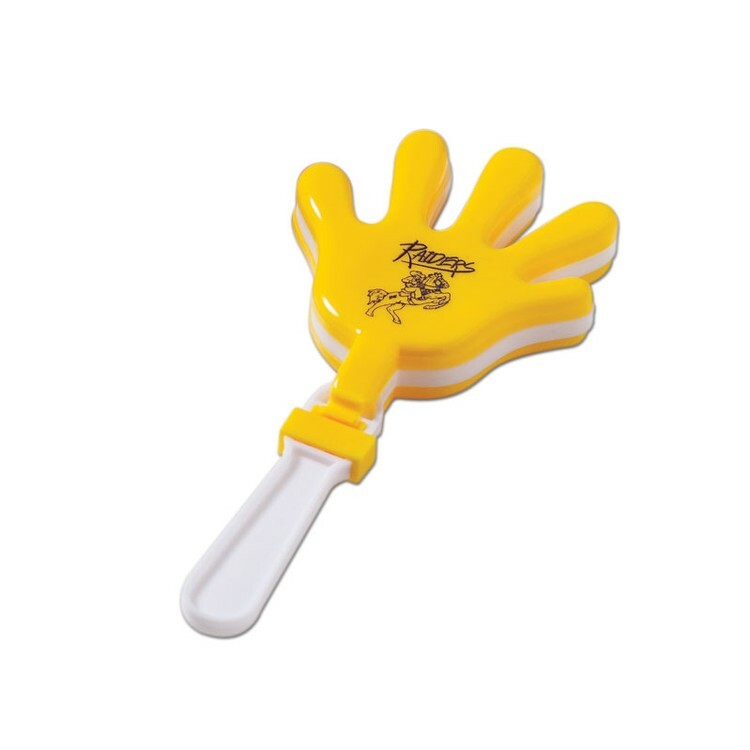 The size is 9 7/16" L x 4 23/32" W. When the clap is waving back and forth, they will make a loud squeak. 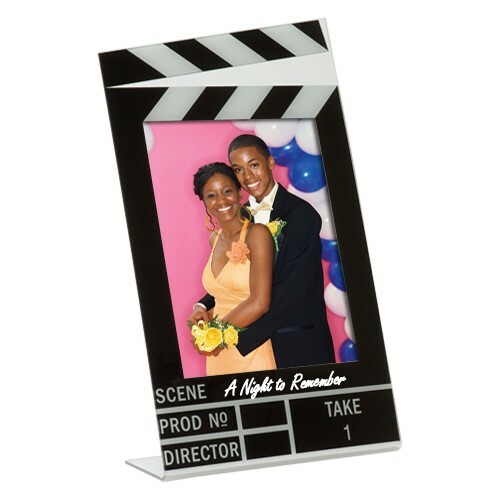 They offer great party gifts for kids or an interesting addition to any gift bag. Children will enjoy this fun. 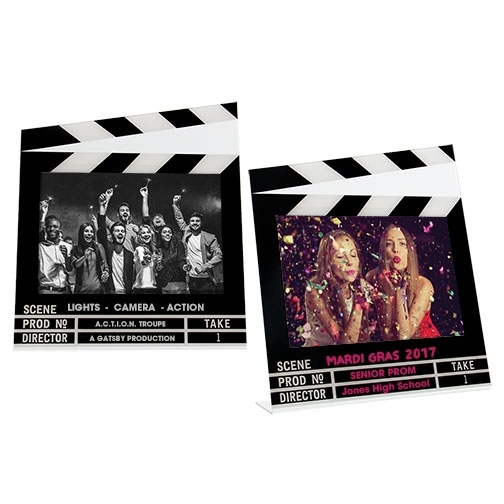 Get used to shooting at holiday parties. Each small hand consists of three small hands, shaking each other, affecting the clear applause of the clapping hands. The color of the product is only red, yellow and green. The logo color can only be customized in blue, white and black. 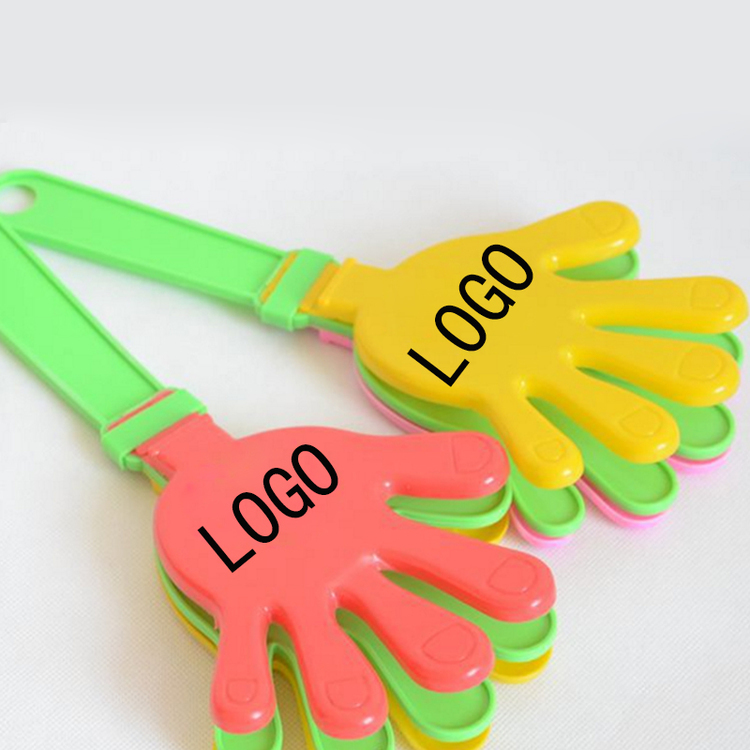 Welcome to customize your products and logos!